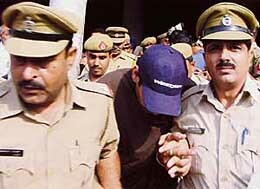 Mann Jr. (Gursewak Mann) in trouble.. While Mann Sr. (Harbhajan Mann) is busy making movies and cutting albums, Gursewak is busy doing his own thing. But this time, he was doing something which has led him to trouble. I think it’s very creative of the person to think of something like that. What do you think? Indian off-spinner Harbhajan Singh has apologised to the Shiromani Gurudwara Prabandhak Committee (SGPC) for wearing his hair open in an advertisement. “I apologise if I have hurt Sikh sentiments. It was not my intention to do so. In future I will take care of this,” he said. However, he also criticised the SGPC for taking up the issue in media. “It’s bad that the SGPC took up the issue in media. If they had any problem, they should have called me like a son and told me. But, their action was wrong,” he said. Shiromani Gurudwara Prabandhak Committee (SGPC), considered to be mini-parliament of the Sikhs, demanded an apology from off-spinner Harbhajan Singh for wearing his hair open in the advertisement. “Harbhajan Singh should apologise for appearing in the advertisement if he considers himself to be a Sikh. Our religion prohibits keeping one’s hair open. We also strongly object to his appearing in the advertisement in this fashion,” SGPC President Avtar Makkar said. He said that since Harbhajan was born and brought up in a Sikh family, he should have known that his religion did not permit keeping free-flowing hair. “We are not even supposed to eat if our hair is not tied,” he said. SGPC chief said Harbhajan should have refrained himself from appearing in the advertisement of the company, which is associated with a well-known liquor brand.